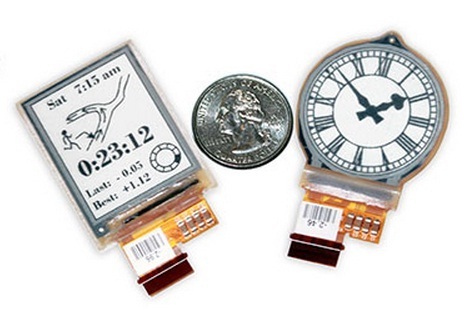 Today, E Ink has announced a new business deal with Sonostar to release a new line of watches using a 1.73 inch display. E Ink offers a variety of electronic paper displays in many different sizes, some of them flexible. The essence of this new 1.73 inch e-paper display is the new Mobius technology that is found in the new Sony 13.3 inch e-reader. The resolution will be 320×240 and will be able to display 16 levels of grey. It is said that this watch will last for a full month, before needing a recharge. Interest in wearable has exploded in recent months following reports earlier this year that Apple already had 100 people working on a much-rumored iOS-based smartwatch some have dubbed “iWatch.” Apple is said to be experimenting with wristwatch-like devices that sport curved glass. [toggle title=”Press Release”]June 2, 2013 – Cambridge, MA — E Ink® Holdings, “E Ink” (8069.TW), a digital signage and display visionary, announces the addition of a 1.73″ flexible display to its Mobius product line of flexible electronic paper display (EPD) technology. The 1.73″ display has been specifically engineered for smartwatch and watch applications. The display is based on flexible TFT technology developed and brought to production by E Ink. The first commercial product to use this 1.73″ display is the Sonostar Smartwatch announced this week at Computex in Taipei, Taiwan. 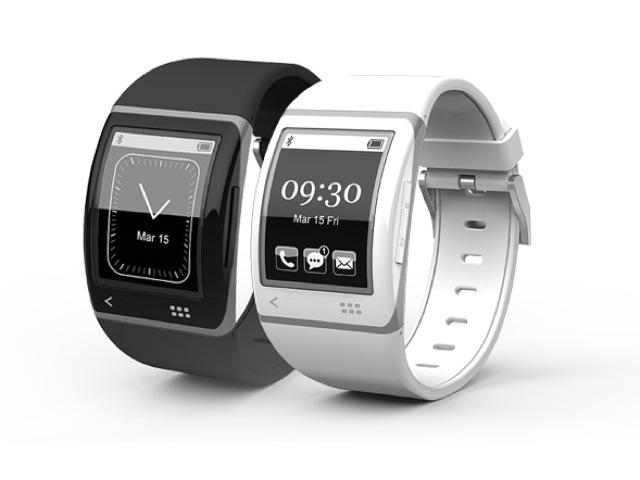 The Sonostar smartwatch was jointly developed by E Ink’s subsidiary Transmart Co. Ltd and Sonostar. The smartwatch was chosen by the Taipei Computer Association as one of only 10 major product highlights at Computex, which will run from June 4-8 in Taipei, Taiwan. The 1.73″ Mobius display supports a resolution of 320X240 pixels with 16 greyscale levels. The display size and characteristics make the technology ideal for the smartwatch market. Using a flexible substrate, the 1.73″ Mobius is lightweight and rugged and is conformable so the end product has a better fit for the consumer. Its low power usage and sunlight readability make this technology ideal for mobile devices. Unlike conventional displays, the 1.73″ Mobius display can be cut into different shapes. More information on the Sonostar smartwatch can be obtained by visiting the Sonostar booth at Taipei World Trade Center Hall I (No: C0317) during Computex Taipei 2013 (June 4 to 8) or by going to www.sonostar.com/Smartwatch/. You can get more information about the Mobius 1.73″ display by visiting www.eink.com. Founded in 1992 by Taiwan’s leading papermaking and printing group YFY (1907.TW), E Ink Holdings Inc. (8069.TW) is the pioneer of TFT and ePaper business in Taiwan. Its corporate philosophy aims to deliver revolutionary products, user experiences, and environmental benefits through advanced technology development. This vision has led to its continuous investments in the field of ePaper display as well as its 2008 acquisition of Hydis Technologies, manufacturer of the world’s best wide viewing angle LCDs and its 2009 acquisition of E Ink Corporation, the worldwide leader in ePaper. Listed in Taiwan’s GreTai Securities Market and the Luxembourg market, E Ink Holdings is now the world’s largest supplier of displays to the eReader market. For corporate information, please visit www.einkgroup.com; for EPD information, please visit www.eink.com / tw.eink.com; and for FFS information, please visit www.hydis.com.